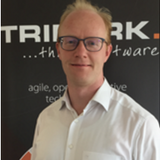 Attila is a Software Architect and CTO at Trifork with a focus on Machine Learning. He has worked in fintech, transport, healthcare and publishing. He facilitates the delivery of the best possible software by his team, finding the optimal software quality-to-features ratio and striving for good software engineering, while ensuring delivery of the business requirements. Attila is currently studying for his MBA at Erasmus University to bring business principles to the software engineering world.